The primary focus of our legal team at Harris, Karstaedt, Jamison & Powers, P.C., is defense against liability claims, particularly in the area of motor vehicle accidents and premises liability. We have been handling these cases since the inception of our firm, and we have a thorough knowledge of the relevant law and access to expert witnesses who may be necessary to present the most successful defense. We defend carrier’s insured in personal injury cases arising out of a moving vehicle accident. We defend truckers and trucking companies in accident cases involving property damage, bodily injury and deaths arising from the transport of goods across roads and highways. We advise transporters and their insurers who have questions about and disputes with health care insurers and health providers. We represent insurance carriers with respect to UM/UIM claims arising from motor vehicle accidents. We defend insurance carriers against bad faith charges when claims are denied. We at Harris, Karstaedt, Jamison & Powers, P.C., have defended a large number of product liability cases ranging from claims for catastrophic injuries involving serious and permanent disabilities such as brain damage and paralysis to claims for wrongful death. Our experience includes defending against claims involving multiple parties and class actions arising from a number of different products, including allegations of defective design, defective manufacture and failure to warn. We have defended, among others, the manufacturers of trucks, electric blankets, bailers, chairs, security devices and sprinklers from claims brought by the users of those products. The firm also defends food processors and national fast food companies in connection with claims involving alleged contamination and injury. Our firm has extensive experience defending against claims of individuals who allege they have been injured by exposure to toxic and other dangerous substances, forms of energy and devices, including asbestos, chemicals and cosmetics, hazardous waste, medical products and devices, pesticides, pharmaceutical products, radiation and electromagnetic energy, and tobacco. We represent clients against toxic tort claims made for the recovery of money damages for medical expenses, lost wages, pain and suffering, and punitive damages, made individually or as part of a class action. Members of Harris, Karstaedt, Jamison & Powers, P.C., have been involved in the defense of claims arising from alleged environmental contamination since the onset of these claims in the mid-1980s. Firm lawyers have defended alleged polluters against both property damage and personal injury claims. The firm has also represented insurers in massive declaratory judgment actions to determine which insurer has coverage and the extent of coverage for environmental contamination alleged to have occurred as far back as the beginning of the 20th century. Of recent significance, in 2001, lawyers from the firm defended and won a defense verdict on a personal injury suit brought by 41 plaintiffs who claimed injury as a result of alleged indoor air contamination at a Pueblo, Colorado, middle school. The trial lasted seven weeks and included testimony from 19 different expert witnesses. 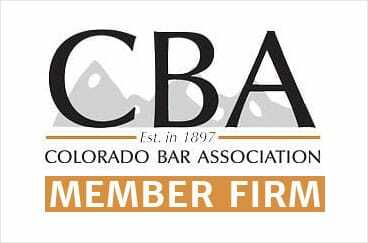 Several firm members also were involved in the successful defense of the Denver Water Board in response to claims that chemical contamination to a drinking water reservoir had resulted in an unusual pattern of childhood cancer in a remote Denver neighborhood. The firm also represents and has defended a regional gasoline retailer on several claims involving alleged leaking underground storage tanks. The firm obtained a defense verdict, after a month-long trial, for a gasoline jobber accused of contaminating a town’s water supply. In addition, the firm has handled the defense of environmental claims involving PCBs, heavy metals and solvents. Contact a personal injury lawyer at Harris, Karstaedt, Jamison & Powers, P.C., today to discuss your case and needs. Call us today at 720-875-9140.